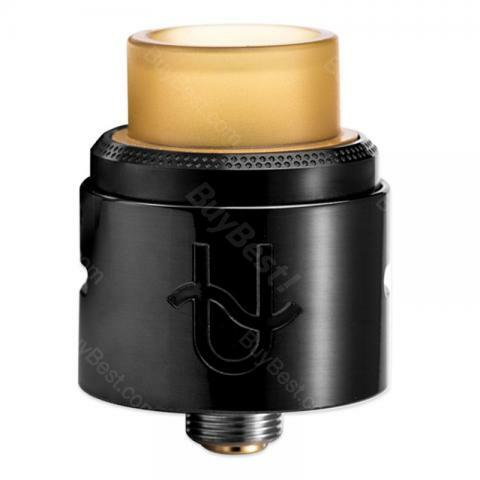 Wotofo Serpent BF RDA omes with 22mm diameter and two posts with four wire holes. It is a bottom filling RDA tank with 6mm Deep Juice Well. Can use with squonk mod and other 510 thread mod battery. Definitely a good choice for DIY lovers! Wotofo Serpent BF RDA is a new rebuilable tank from Wotofo, comes with 22mm diameter and two posts with four wire holes. It is a bottom filling RDA tank with 6mm deep juice Well. The titanium alloy screws and 316 stainless steel material make it durable and reliable. The height including drip tip is only 30mm, which make it convenient to carry. It features 528 goon style wide bore drip tip and gold plated 510 pin thread, can use with squonk mod and other 510 thread mod batteries. Definitely a good choice for DIY lovers! • It doesn't come with e-juice annd you need to buy separately. Der Dampfer ist ausgezeichnet. WOTOFO Serpent BF macht einen sehr wertigen Eindruck und liegt gut in der Handy und schönes Display. WOTOFO Serpent BF RDA pretty good for me! My first BF RDA, all goes well.